Greetings to you, my wonderful readers! Yes, you are reading this correctly: I am writing in the first person. This is an incredibly rare thing for me to do in my posts for I always write my reviews in the third person. The books I review are about the authors and the wonderful stories they have created, not about me, so I believe third person captures the essence of the author and his or her story best. However, there has been a certain book series I have read and reviewed that is very near and dear to my heart that I must express in the first person: Andrzej Sapkowski’s The Witcher Series. Personally, Sapkowski is my Tolkien. 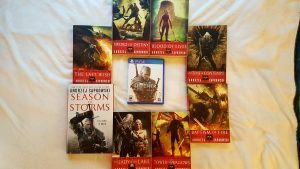 I became engrossed in the fantasy world of the Witcher as everyone else became engrossed in the fantasy world of Middle Earth. I could not stop reading the books of the adventures of Geralt the Witcher and his ward, Princess Cirilla, and purchased book after book until the series ended. Now, I believe most people are more familiar with the games of The Witcher than they are with the book series. To clarify to anyone who has any doubts: the book series did indeed come out first. 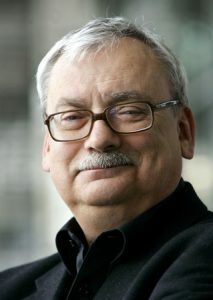 Sapkowski began the books in the late 1980s/ early 1990s in Polish and they were then translated to English in the early 2000s. His first ever short story where Geralt first appeared was in 1986 in a short story called “Spellmaker” and it is the same story that begins The Last Wish. Why am I telling you all of this? Because when I was finally able to play Witcher III: Wild Hunt, I was so excited to see the story and the characters I had grown to love in the books come to life on a screen in a way no movie could possibly accomplish. And while playing, I caught references to ALL of the books in Sapkowski’s series. I started to find myself writing down the references and looking for where exactly in the book series they were. Then I started to find various articles and forums of other people asking about certain references, so I figured, why not write an article about these references? Now, I am proud to announce that without further ado, after a year and a half of research and struggling with myself on posting these articles, let us finally begin. Meet Andrzej Sapkowski, the creator of Geralt and the whole Witcher world. He was born in 1948 in Poland and studied to be an economist; however, in 1986, his debut short story of a white haired man from Rivia who slew monsters would change that. He now holds the title of one of Poland’s most famous and successful authors. As aforementioned, Sapkowski released his first short story starring Geralt in 1986 with “Spellmaker” and it is basically the exact same story one will find as the first chapter to begin The Last Wish (with just a few minor tweaks… a name changed here, a town name changed there, etc.). If one wishes to receive the full experience of Sapkowski’s Witcher world, a good suggestion would be to read the books first. They actually occur five or six years BEFORE the events of the game series and the second war is waging in the books while the third is waging in the games. They also introduce you to the characters in an in-depth way the games never could. If one reads the books first, then the games act as an alternate continuation of the story and those who have read the books first will see that CD Projekt Red took very special care of all important aspects of this fantasy world to bring justice to Sapkowski’s work. Now, one would be curious: Does Sapkowski like or dislike the fact games were made from his series? Turns out, he does not mind the games. He has expressed this many times in interviews because he says that the games help lead players to his books. Before CD Projekt Red even made the first game, they were very respectful and showed Sapkowski the artwork for the game and also asked if it would be all right to put a bit of a plot twist into it (hence, Geralt’s amnesia five years after the books’ events). Sapkowski was perfectly fine with it. However, Sapkowski admitted that he would never play the games and that the games are not an alternative version or a sequel to his books because he believes media can’t combine with literature in that way. “A comic can’t be a prequel to a movie. A video game can’t be a sequel to a book”. What does bother him is when players who have only played the games and have not read the books believe the games came first. As much of a fan I am of games, I will always be a bigger fan of books and will always defend the written word over a game. So from a book worm to the gamers of the world and as aforementioned already, here is another quick reminder: THE BOOKS CAME FIRST. While browsing through my emails one day, I came across one from Barnes & Noble advertising their “buy two, get one free” sale. I love to look through those because they will normally have some good titles hidden within the search. 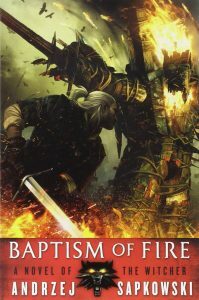 A fantasy book I came across caught my eye: Baptism of Fire. It had a fascinating cover, an appealing title, and an even more intriguing synopsis. When I learned it was the third in a series, I went searching for the first book. I picked up The Last Wish that same day and read it a good two months after purchasing it. I opened it expecting just a fun fantasy story that was, most likely, going to be like every other fantasy series I have read so far and maybe I wouldn’t even make it to that third intriguing book if the series turned out to be dull… Oh, how wrong I was. I reached Baptism of Fire within the next month and, by the time I completed it, the next few books were still in the process of being translated and had not yet been released. That was also around the time when the Witcher III: Wild Hunt had been released which, at the time, I had no idea the book series had been turned into a video game series. I stumbled across the “Killing Monsters” cinematic trailer by accident on YouTube in 2016 and became incredibly intrigued. But there were some problems I came across: (1) the first two games I had not played and did not have a strong enough computer or an Xbox for them and (2) the third game was for PlayStation 4 and Xbox One… which I did not have either system. It was not a dire emergency to spend a couple hundred dollars on a system I was only waiting to get for Kingdom Hearts III for a game that had only piqued my interest. So I preordered the next book for $12 and waited. Towards the beginning of December in 2016, I found a used copy of the Witcher III: Wild Hunt for the PlayStation 4 on sale for $20 at my local comic book/ used movie store. I purchased it, not expecting to play it anytime soon, but I did listen to the music score it came with. I became even more intrigued with the game, hoping someday I would be able to actually play it. A few weeks later, I received a PlayStation 4 as a Christmas gift. It was exciting to know that I finally could play the game that I had curiously been watching snippets of online and listening to the music of, but it was actually the open world concept that held me back. Skyrim was my first introduction to an open world game and, to be honest, I stopped playing not too far into the game because it scared me. And there I was: wanting to play a game because I loved the books it was based off of with monsters and blood and other things that I wasn’t used to seeing in a game. But knowing the characters from the book series I had fallen in love with were waiting with a whole new story for me made me finally play it. It took a lot of help from YouTube, IGN, and various forums to truly get into it, for the video game world of the Witcher both fascinated and terrified me, but once I did, I was hooked. I would play for hours and would not want to stop, wanting to know what happened next in a whole new story that continued on from where the books left off. As I write this now, I am listening to the music from the Witcher III: Wild Hunt and am surrounded by all of the books that have been released as well as the game that constantly taunts me to start over and go back into that world that has taken me from reality for countless hours (964 hours to be exact.. thanks Playstation Network for letting me know how many hours of my life I spent in a video game). I am so excited to share these articles with all of you. I have wanted to share my thoughts about The Witcher book series and the references to it within the Witcher III: Wild Hunt for over a year and am now finally doing it. Each article will be written in the first person for it would be really difficult for me to write these in the third person (and nearly impossible in the second, for I am still trying to figure that POV out). Again, if one does not wish to have any spoilers of either the books or the third game, please stop reading now. I do not wish to be the person you despise for spoiling anything for you. Some articles may be shorter or longer than others, it really depends on how many references I found in each book (I can already tell you that The Last Wish and The Lady of the Lake will most likely be my longest articles). Check back here every day for a new Witcher article until I reach its end on September 26. Until then, everyone have a great day and I will catch you all tomorrow for my first official start to this miniseries, The Last Wish! *Disclaimer: Everything Witcher related belongs to the amazingly talented Andrzej Sapkowski who created this amazing fantasy world. Credit goes to CD Projekt Red for bringing Sapkowski’s world to playable life in Witcher III: Wild Hunt. I take no credit for anything involving the world of the Witcher – I am only entitled to my own opinions.